My mom would tell you I’m quite the catch, but since my last boyfriend, I haven’t been dating much. Maybe it’s my rocker style or my lack of filter that intimidates the boys. So I’m pleasantly surprised when Matt Stallworth waltzes into the indie record store where I work and gives as good he gets. Turns out Matt is a professional baseball player, which should mean he’s out of my league. But if he wants to hook up with me, he’s going to have to follow my rules. After winning my MVP award, I learned that a guy can get used to having beautiful women practically throw themselves at you everywhere you turn. But everything changes the first time I see Kelsey Martin, and something just clicks. She’s hot, snarky, and whip-smart. I’ve got to see her again. Only problem is, she sees right through all my best moves. And I’m going to have to step up my game to convince Kelsey that I’m playing for keeps. Kelsey and Matt are the typical “opposites attract” couple. It's a story that is written a lot and the twist in this book is that Kelsey and Matt love the same type of music. Kelsey is a kind of quirky woman who I thought was more guarded than what we as readers, would have understood why. There were hints at something in her past, but nothing super concrete. I did find her reluctance to let Matt in a little tedious. Matt is a pro-athlete and I did like his teasing personality. He was loyal to his friends, but he also was always wanting everyone to be happy around him. His relationship with his family is ideal and I love how he and his brother banter back and forth. The dance that Matt and Kelsey do is the normal dance with the normal conflict. I enjoyed their relationship and they did tear up the sheets. I just wish that there had been some from Kelsey's perspective towards the end. The ending felt too rushed and despite the conflict, there wasn't really any dialogue about it – it simply was. This one just really didn’t do it for me. I absolutely loved the previous book, Bossed, but this book doesn’t hold a candle to it. I don’t feel like you can read this as a standalone, the roles have already been established and I think not having read the previous book would make it difficult to get into. Matthew is a baseball star who is highly sought after by both the New York Yankees and the Texas Rangers. Texas has always been home for Matt but the Yankees are offering an outrageous amount of money to get him to go there. The decision about which team to go to literally drags out through the entire book and is one of the reasons I’m giving a low-star rating. Matt meets Kelsey and the attraction is immediate, but it takes a bit of convincing to get Kelsey to agree to a date. Once they begin dating though, things steam up very quickly and the story really picks up. Though Matt is open about having been a bit wild in his younger years, when Kelsey finds out the details she freaks out and ends things, prompting a domino effect of crazy decisions. Plus, the entire story pretty much revolves around Matthew not telling Kelsey about having the choice between Texas and New York. My favorite part of this story was the epilogue – it really tied the story up nicely and was such a cute way to end the story. I wasn’t a huge fan of Kelsey’s character, she’s very wishy-washy with what she wants in life and was quick to jump to conclusions on several occasions. I like Matthew’s character though, he’s tough and he and his agent/best friend’s interactions had me cracking up. All in all, this was an okay read, it just didn’t really pick up until almost 50% through the book. 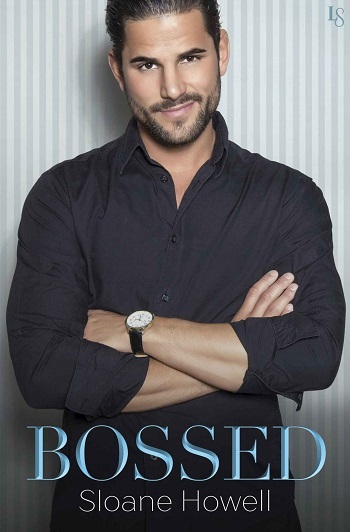 Having really enjoyed Bossed, I kept reading Scored to the end, because I wanted to get to the bit which made it all make sense. If I am honest, it did not happen for me. I am a huge sports fan, and was pleased that this did not follow an often tread path of injury, drama, etc., but the item on which the whole plot kind of stuck was just a non-issue as far as I could see, and just didn't work for me. It was fun that Matt was the one who was so sure that Kelsey was his future, and that he had to make her understand that. I enjoyed that they both had a rude, sarcastic sense of humour. I loved that they were both such good friends to Jenny and Ethan (the stars of Bossed) and how they separated work from friendship. Having looked at the average review score, I realise I am in a minority, but I tell it how I read it, and for me, this just missed the bat. For reviews & more info, check out our Bossed post. Reviewers on the Wicked Reads Review Team were provided a free copy of Scored by Sloane Howell to read and review.